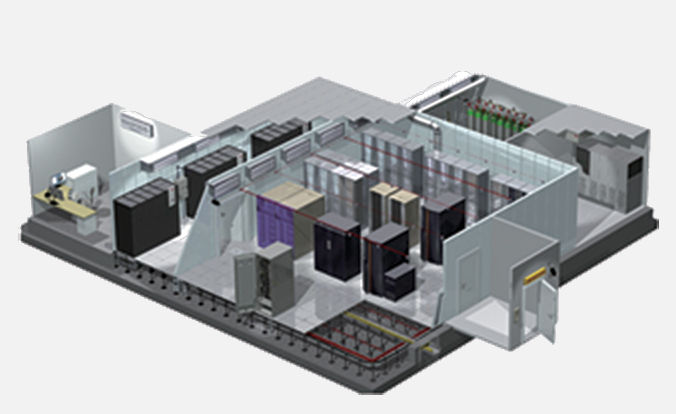 The impression of a traditional datacenter is very noisy, highly power consuming, and large space requirements. It requires critical facilities such as essential power and 7×24 chilled water, in-order to protect the IT equipment such as servers, network switches, storage, etc. A traditional datacenter always requires a huge sum of investment, even though the whole system has to be disposed when relocated. If you’re thinking of improving your datacenter’s efficiency and performance, there is one thing you have to do: virtualization. Here are some key benefits of datacenter virtualization. The possibilities are endless with virtualization, housing your datacenter in our smart racks iDCmini is the perfect start. Over the course of the next few weeks, we will be introducing benefits of virtualization and Hyper-Converge Infrastructure, as the servers shifts to the cloud, the datacenters need to catch up with the cloud-like economics and agility. Our iDCmini is a smart rack that offers an ideal solution to perfectly addresses such principle. The iDCmini is not only a smart rack or a smart cabinet, it is the perfect solution for hosting your Hyper Converge appliances. Not only does it keep your virtualized servers cooled, it is also splash proof, with highly customizable configurations. With the smart controller integrated with the mini green datacenter, it can be controlled through a DCIM software that can keep all of your iDCminis monitored.